Quality management software is dramatically changing today, thanks in large part to robust systems that help companies implement data management solutions. We recently surveyed our readers about the extent to which they're utilizing quality management software. This Market Intelligence Report draws a broad-brush picture of how the industry is progressing in this regard. Market Intelligence Report: How Automated is Your Micro QC Lab? The pharmaceutical Quality Control lab is dramatically changing today, thanks in large part to technologies-such as rapid microbiological methods (RMMs)-which automate and accelerate traditional processes. We recently surveyed QC specialists in the industry about the extent to which they're automating their labs and implementing rapid methods. This PharmaManufacturing.com Market Intelligence Report draws a broad-brush picture of how the industry is progressing in this regard. GSK's whistleblower case invoked cGMPs and there may be at least another such case coming, says consultant Michael Gregor, of Compliance Gurus. Among the biggest recurring problems, he says, are lack of training and a failure to calibrate written procedures with actual practice. Although individual companies are achieving results by implementing Toyota Production System and other Lean methodologies, the pharmaceutical industry's Lean progress has been slow so far. In this program, McKinsey's Ulf Schrader, St. Gallen's Thomas Friedli, and NIPTE's Prabir Basu discuss what's holding pharma back from achieving true operational excellence, and what can be done to achieve lasting results and culture change, especially in an atmosphere dominated by mergers and acquisitions, downsizing, outsourcing and offshoring. For those considering incorporating the PTS/MCS into their manufacturing and testing processes, this webcast will cover the details of implementation and its benefits. Attendees will also hear from a Charles River customer about their experiences switching to these rapid testing technologies, including how it impacted decision-making, validation and final outcome. While many drug manufacturers are successfully tracking their workers in terms of attendance, skills, training, and habits, our recent survey shows there is much room for improvement. Most notably, there are still many manufacturers who are tracking workers on paper, or are not getting critical information that could be beneficial. 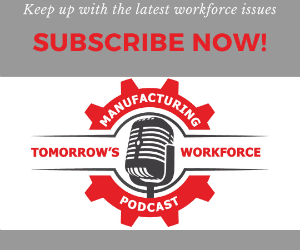 This video, the first of a series of Market Intelligence Reports, provides an overview of our survey data and suggests how manufacturers can leverage workforce knowledge for operational improvement. Kevin Xu, a Chinese businessman tried to penetrate the U.S. drug supply chain with enormous quantities of counterfeit prescription medication. Dan Rather reports. Disconnects between laboratory and plant floor lead to millions of dollars in wasted pharmaceutical analytical method validation and transfer efforts each year. However, using Quality by Design principles, and taking a life-cycle approach can help ensure that method validation and transfer are right the first time, every time. To avoid costly shutdowns, product seizures, and warning letters, drug firms need effective raw material controls and critical supplier auditing procedures. Imagine how effective your controls would be if you were using the same exact field sampling techniques and tools FDA investigators use. If youd like to learn some of the lessons the FDA has adopted in the wake of the contaminated Heparin and Glycerin scandals, then attend this free webinar hosted by Thermo Fisher Scientific. Faster drug approvals, real-time release, regulatory relief. These, and many other benefits, are promised by adopting Pharmaceutical Quality by Design principles. So why aren't more people embracing the concept? Skeptics continue to see QbD efforts as too expensive, time consuming and impractical, while QbD and PAT projects are being launched separately, rather than together as intended. Exploring the reasons for this apparent disconnect, and potential solutions, are Ali Afnan, Pedro Hernandez-Abad, Sam Venugopal and Gawayne Mahboubian-Jones. SAP is helping Life Science companies implement comprehensive and proven industry specific solutions that manage business processes in one preconfigured Life Science industry solution. Join us to learn how Convatec implemented an SAP Life Science industry solution using industry best practices and rapid deployment methodologies to meet an aggressive implementation timetable and develop a solid foundation to support future growth in the highly regulated Life Science industry. Podcast: API Pollution: Are Drug Manufacturers Trying to Stymie Studies? A recent U.S. Geological Survey study found two drug facilities in New York state releasing high levels of API into local groundwater. The manufacturers have been less than cooperative, says study lead Patrick Phillips, speaking with Senior Editor Paul Thomas. Without adequate studies, Phillips adds, there's no way of knowing what the impact of the compounds on local biota might be. Microsoft is positioning SharePoint as a solution to the industry's innovation gap. In this interview with Senior Editor Paul Thomas at DIA 2010, Michael Naimoli, Director of Life Sciences Industry Solutions, discusses how manufacturers like GSK and Merck are using SharePoint as a knowledge management platform to find new ways to innovate. Webcast: As Your Markets Grow, Can Your Data Management Systems Keep Up? What Is the "One Pfizer Culture"? Pfizer's Chief Diversity Officer Ed Gadsden tells how global colleague-resource groups help the pharmaceutical giant work together to better serve underrepresented patient communities. Paul McKenzie, global head of pharmaceutical development and manufacturing sciences at J&J Pharmaceutical Research and Development, discusses J&J's Lab to Patient program, and how the drug industry might connect its data silos to optimize results for the patient. Focus on Pharma Episode 6: Continuous Processing: Is Pharma Moving Beyond the Batch? Although batch manufacturing promises to dominate drug manufacturing, there are a growing number of opportunities to harness the power of continuous manufacturing. Is the industry reaching a tipping point? Bernhardt Trout, head of the Novartis-MIT Center for Continuous Manufacturing, shares his views on what is changing.